Every year, FixNation, a Los Angeles animal charity, holds an auction of designer cat houses to raise money. This year’s Fan Favorite is “Cat in the Fishbowl.” It’s very nice, but we’re pretty sure any cat will ignore it in favor of the box it came in. FixNation is a remarkable charity which attempts to reduce the population of feral cats by fixing stray cats so they won’t reproduce. Every year they hold an even more remarkable event. They partner with Architects for Animals and hold an auction of cat houses. 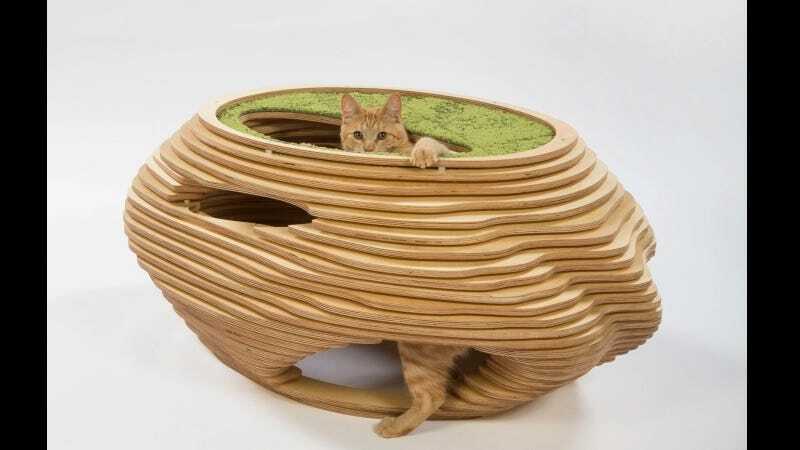 Various firms design their own cat houses, and auction them off to raise funds. If you want to take a look at all this year’s houses, check out the Architects for Animals site.